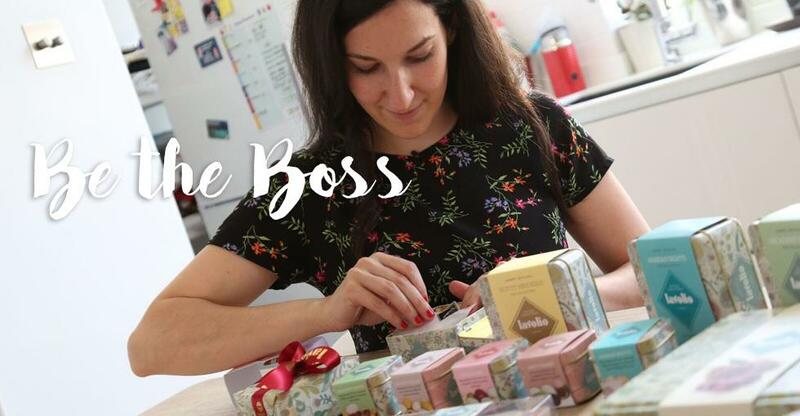 We spoke with ex-investment banker Lavinia about how she swapped life in the city for running her own confectionary business. Lavinia Davolio worked for 9 years in investment banking before she realised that she needed a change and a career that better represented her. She now sells her specialist Italian confectionary products to 400 different stores – including legendary Fortnum and Mason. We chatted about what made her start Lavolio, how she came up with the idea, and what the pros and cons of running her own business are. Why did you give up your finance career to start this business? I was a director and one day I just found myself wanting a new challenge. My career just wasn’t defining who I was. When I started my business, I had a blank sheet to re-define my career, so I went back to the kitchen. I’ve always had a love of food; I grew up on a farm and cooking was part of myself growing up. I’ve always had a sweet tooth and a passion for anything sweet. When I quit my job, the first thing I did was train as a chef. I thought I might want to be a restaurateur, but, the experience actually made me realise that I didn’t want to do that. Instead, because I had so much fun in the kitchen and I love chocolate and sugary confectionary, I started creating sweets. I got the idea for using sugar coating, which is an old technique – it was a medium to explore and experiment with. My pivotal moment was when I was trying to find something just as satisfying as a box of chocolates but different – and I found it! My clients say they’ve had nothing like it before – so, it’s a unique experience. There are so many varieties, and each is hand-made – it certainly has the wow factor. How did you go about setting up your business? People told me I was crazy, but I knew I was resourceful and was crazy enough to think it would be fine. I started making things, packaging them, and taking them to food markets to see what people would think. I learnt that it’s hard to communicate the idea – and I didn’t know what to call them. Then I came to the realisation that they were Italian confectionary – something that’s not seen everywhere in the UK, making them unique. Food markets taught me that lots of people loved them as a gift. I then learnt how to get them into stores. Now I supply 400 different delis, food stores and gift shops. I didn’t plan how to do it but I learnt how. I love getting new products and I do this job with passion because I see everyone’s reactions. I think putting the customer experience at the center makes a huge difference. The tins are beautiful but different – you can unwrap the packaging so it’s an experience. It’s hard because you have to make a lot of decisions, ones that you need to get right, and you’re doing it alone. But I really believe I’m learning something new every day. There’s no other job in the world that would make me feel like me, and that I’m meant to be doing it. The best thing I think small businesses can do is work together. It makes a huge difference if we stick together. Sometimes other entrepreneurs have brilliant ideas – and I have huge respect for them because they’ve made it happen too.